THE ALL-NEW BEDXTENDER HD™ – TOTALLY REINVENTED BY AMP RESEARCH. 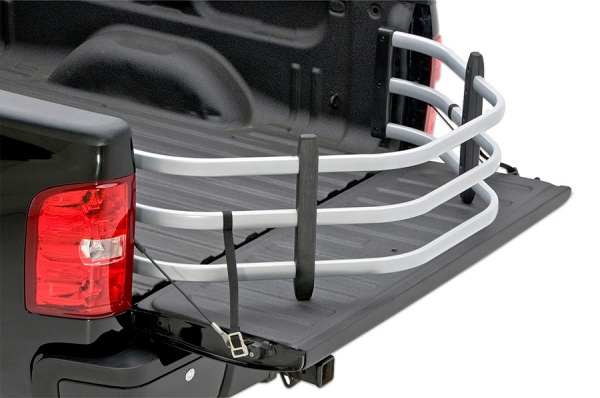 Pickups have come a long way since AMP Research invented the bed extender back in 1998. Starting with a clean sheet of paper, AMP Research engineered the toughest, most versatile extender AMP’s ever made. Completely redesigned from the inside out, BEDXTENDER HD™ is precision-crafted and packed with advanced technology. Like patented, rounded-rectangle tubes. Plus new torque-resistant composite uprights. Made in the USA, BEDXTENDER HD™ is backed by AMP’s industry-leading, no-nonsense, 3-year/36,000-mile warranty. Because that’s the way they roll.